Welcome to Krull, that's right, now you're on the planet, Krull! No you can't escape, not without listening to our brand new episode! 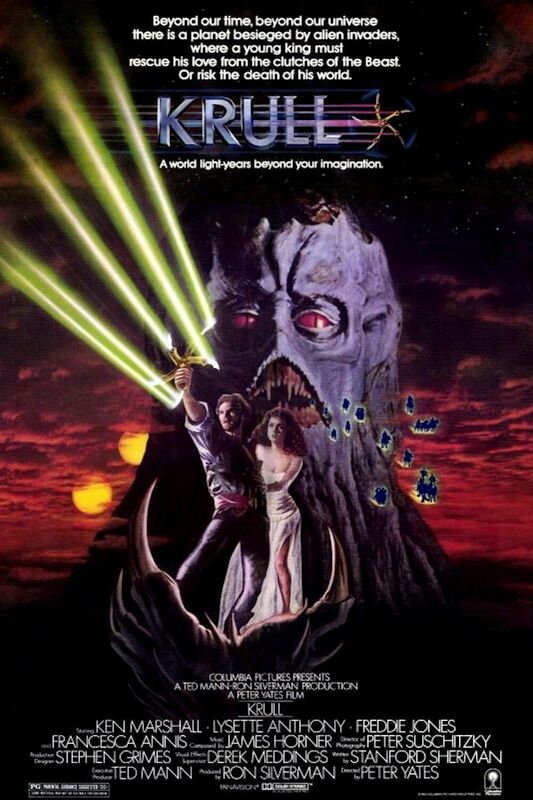 In which we discuss the 1983 film, you guessed it, Krull. Just how much is this film trying to capitalize off of Star Wars? Do good fighters really make bad husbands? Also, how many long shots of horses galloping around a mountain can one movie hold? And finally, how badly do YOU wanna puppy? Don't forget to rate us on iTunes! It'll be fun! Maybe you'll even get a puppy.